It’s raining! It’s pouring! – Renton WA | A & M Insurance Services, Inc.
but they can also increase the risk of flooding. Most of us welcome the end of winter, and look forward to more sunshine. However, the warmer temperatures can bring rapid snow melt and heavy rains that increase the risk of flooding. While the National Oceanic Atmospheric Administration (NOAA) predicts a lower-than-average flood risk this year for most of the country due to a lack of snowfall this winter. This “low risk” flood prediction does not mean there is “no risk” for flooding. The NOAA notes that flooding is still likely to occur in many areas due to heavy spring rains. Flooding is the United States #1 natural hazard. We want you to know that since homeowners insurance will not cover flooding, it’s important to have protection from the floods and mudslides associated with heavy rains and snow melt. 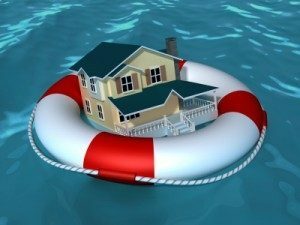 It takes 30 days after purchase for a policy to take effect, so it’s important to buy insurance before the flood waters start to rise. Ask about Flood insurance. We can run your address to see if you are you are in high risk zone or preferred risk, and provide you a no obligation quote.